Click here to view a tour of the Fraternity Archives! "Do Good." It's more than just a motto; it's a way of life. Delta Gamma is a sisterhood built on a commitment to making the world better through not only service, but also a deep appreciation for each individual. View our Founders' lineage here. The objects of this Fraternity shall be to foster high ideals of friendship among women, to promote their educational and cultural interests, to create in them a true sense of social responsibility, and to develop in them the best qualities of character. In 1877, the Fraternity adopted the anchor as our symbol, the age-old symbol for hope. 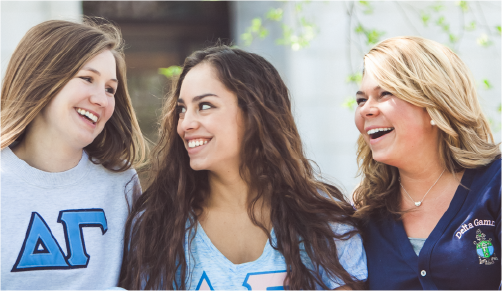 College is full of memories and experiences that will shape a woman's life and help lead her into a lifetime of fulfilling membership as an alumna. Upon graduation, Delta Gamma sisterhood is a network of support that enables each alumna to pursue her dreams and goals, while allowing her to give back. With opportunities to join one of more than 200 alumnae groups, mentor collegians, serve as advisers and volunteer for leadership positions, the Delta Gamma experience does not end after college. Instead, our sisterhood broadens to give each Delta Gamma the chance to continue her involvement in her own unique way. 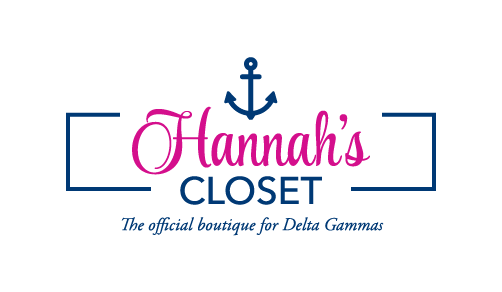 Because serving others is at the root of Delta Gamma's history, the Delta Gamma Foundation functions as the philanthropic arm of the organization. The Foundation has been dedicated to sight conservation since 1936, when a member who was blind, Ruth Billow, Eta-Akron, asked the Fraternity to consider aiding the visually impaired. Since that time, the Foundation has grown to give millions of dollars to organizations that help further our shared mission and our members have given hundreds of thousands of service hours to those living with blindness or visual impairments. Christmas 1873 in Oxford, Mississippi: Anna Boyd, Mary Comfort and Eva Webb spent the holidays at The Lewis School for Girls and formed the Delta Gamma Club. 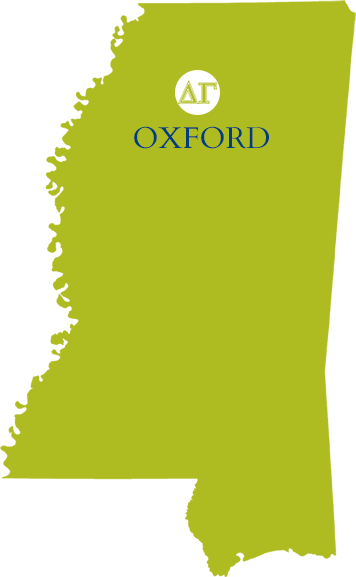 1881 - First Delta Gamma Convention was held in Oxford, Mississippi. 1902 - Delta Gamma joined six other fraternal organizations in establishing the National Panhellenic Conference. 1913 - Delta Gamma's first Canadian chapter was installed: Alpha Gamma-Toronto. 1936 - Aiding the Blind was adopted as the Fraternity Service Project, it was changed to "Sight Conservation & Aiding the Blind" in 1942. In 1995, it was changed to "Service for Sight." 1951 - Delta Gamma became the first women's fraternal group to establish an independent philanthropic Foundation. 1989 - Delta Gamma established the Fraternity Housing Corporation to assist local house corporations. 2018 - Delta Gamma reached 250,000 initiated members. For the complete Positional Statement on Inclusivity and a comprehensive list of our policies, please visit our library.